I recently interviewed Russ McDonald, professor of English at Goldsmiths College, University of London. Russ was a resident scholar at the Folger’s Teaching Shakespeare Institute from 1985- 1986, and served as the head scholar from 1988-1994. He is the author of The Bedford Companion to Shakespeare: An Introduction with Documents and the recent Bedford Shakespeare. Below is an excerpt from our conversation. 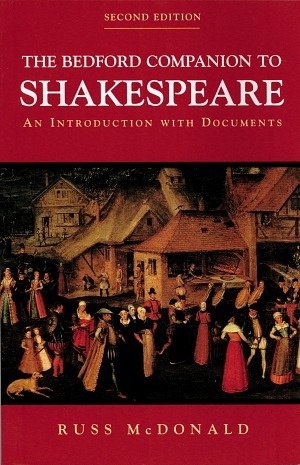 ML: At the Teaching Shakespeare Institute in 1988, you lectured about the tragic flaw, and wrote an essay about it called “The Flaw in the Flaw” which appears in the first volume of Shakespeare Set Free. I suspect that many teachers aren’t teaching the tragic flaw when they teach Shakespeare but some still are. Can you explain why they shouldn’t? RUSS: I have to attribute a lot of this to an article by Phyllis Rose. She wrote an article in the New York Times in the 1980s that I responded to immediately on this very problem, which is that the idea of a flaw that brings down the heroic/tragic character is just too easy a way of addressing a really complicated representation of human experience. That is, if you simply say, ” Hamlet delays. Hamlet cannot make up his mind.” I mean, the beginning of the Olivier film says, “This is the story of a man who could not make up his mind.” Well, no, it’s not. RUSS: Throughout the middle of the 20th century, that seems to be a common way of addressing the tragic experience for teachers and the problem with it is that it reduces to a kind of formula something that is much more complicated and much more interesting. I don’t think we’d still be watching these plays or reading them with the fervor that we still do if it were as simple as that formula of the tragic flaw seems to make it. Hamlet, for example, that it’s just a problem of procrastination. Hamlet can’t make up his mind. He delays. And the same with Othello. 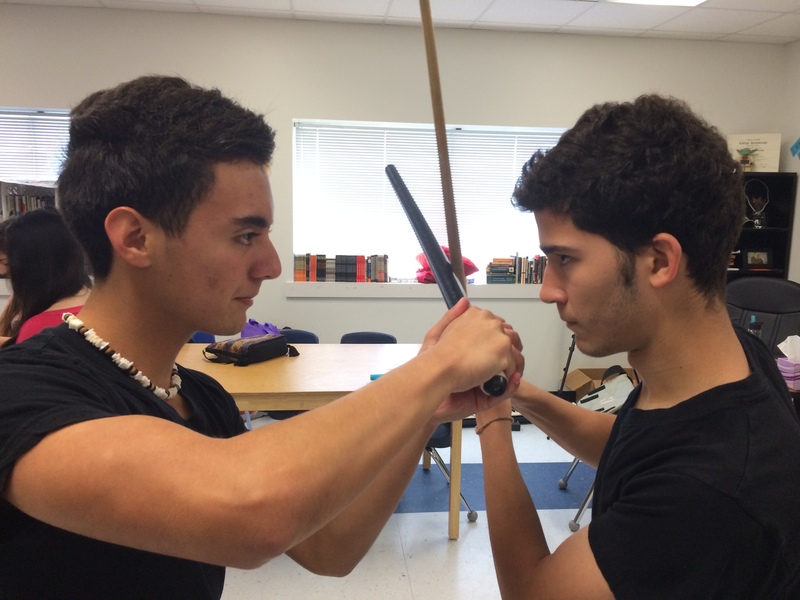 You know, Othello’s just jealous. If he weren’t so jealous, everything would be fine. The problem is first, it simplifies matters too much. And second, it implies a kind of moral or ethical superiority on the part of the reader or the audience. That is, “I’m okay, Hamlet’s not. If I had been there to tell him to get with the program, then he wouldn’t have had that problem at all.” And so what it means is that it allows us to feel superior to the character when, in fact, of course, what is important is that we be involved with the experience of the character. I tend to think of the tragic figure or I try to get my students to think of the tragic figure as a kind of naïve idealist. That’s one way of thinking about most of the tragic figures. King Lear, for example, is naïve in that he’s 80 years old, but he’s an innocent in a way. He thinks that words and meanings match each other, so when his daughter says, “I love you more than eyesight, more than words can wield the matter,” he thinks she means it. And his belief that people do mean what they say is an admirable and beautiful principle. But it’s flawed. I mean, I hate to use the word “flaw,” but it’s a problem. ML: How is it a problem? RUSS: It’s a good problem. The world would be better if things were that way. But that’s Lear’s particular problem. The same thing with Hamlet. Hamlet wants to know the truth and he wants to act ethically, rightly, on that truth. And the world keeps putting baffles in front of him. That’s exactly the problem. The world will not allow the tragic character to proceed as he or she wishes to do. Antigone is really the great example of this. Antigone works so well in thinking about this, because she’s not flawed. She wants to give a burial to her brothers. ML: Right; so Macbeth is just ambitious. RUSS: That man’s ambitious. Exactly. Michael LoMonico taught English for 33 years. He is currently the National Education Consultant for Folger Education and the author or That Shakespeare Kid. 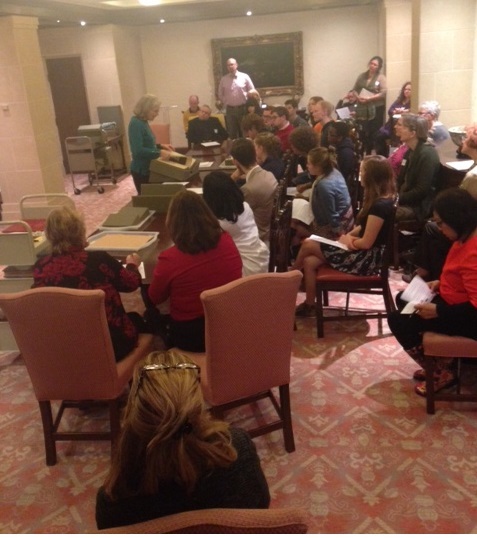 The High School Fellowship Program at Folger Shakespeare Library. Photo by Corinne Viglietta. 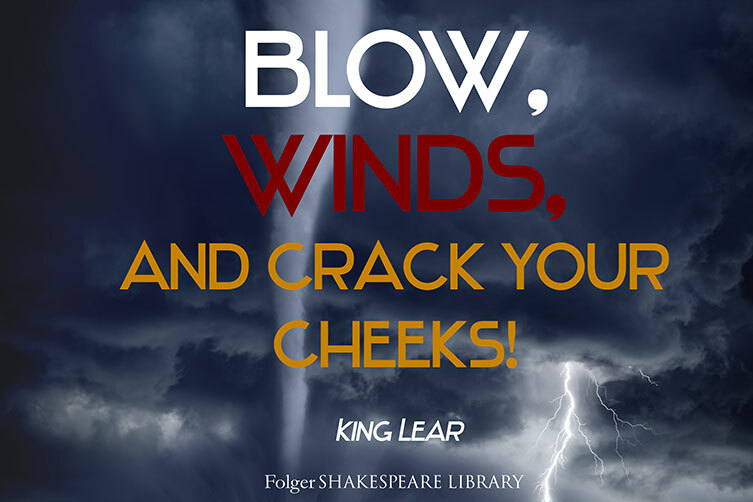 The Folger Shakespeare Library High School Fellowship Program is a 3 month-long course offered to Washington D.C. Metropolitan Area high school students. I am part of a group of 16 Fellows that meets every week for 2 hours to discuss and explore the wonderful world of Shakespeare’s works with the help of Folger staff and guest lecturers. Topics so far have included the nature of cruelty in King Lear, editing Shakespeare’s plays, and analysis of the sonnets. I applied to the Fellowship Program because I love Shakespeare and I wanted to explore him with a community of like-minded learners. I also wanted the opportunity to delve deeper into the Bard’s texts than what I’ve been offered in English classrooms, where units on Shakespeare tend to be dull and dry. Luckily for me, the Fellowship program has met and exceeded those desires by making Shakespeare a tangible, relatable subject with more applications than I could dream of. 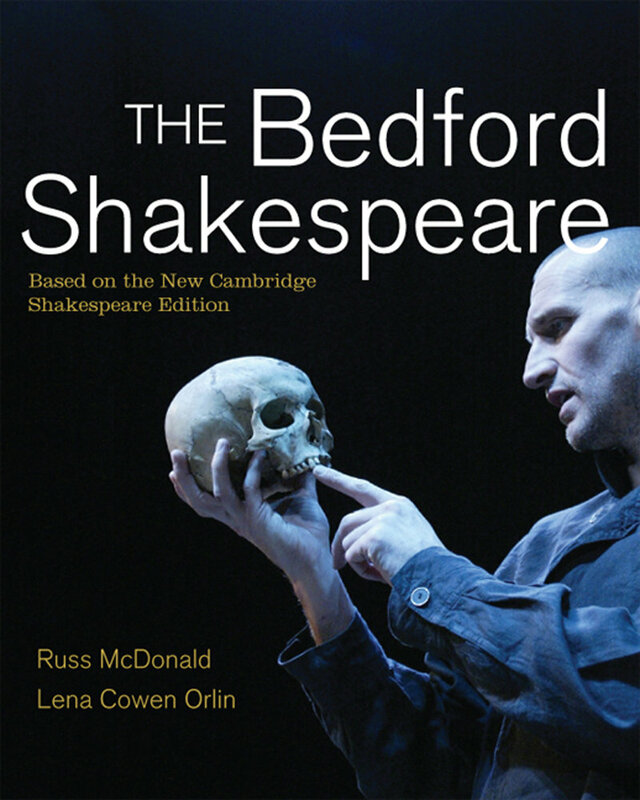 In my mind, the best part of the program is that it places Shakespeare in context with so many different elements, which makes it much easier to get through his often challenging plays. For example, the language in King Lear looks less alien when you understand the fluid nature of Elizabethan spelling, the edits publishers would make to ensure text fit properly on a page, and how the editors of the Folger edition pulled from both the Quarto edition and the First Folio. Learning how to decode Shakespeare’s plays for myself has been challenging but so much more satisfying than being told their meaning by someone else. I found comparing Shakespeare’s texts with other pieces of writing helps draw out Shakespeare’s meaning. Shakespeare can confuse me and the meaning of different passages is quite often lost on me. However, when we used Michel de Montaigne’s essay “Of Cruelty” to look at the theme of cruelty in King Lear, things began to click! I found that each piece of writing helped me understand and draw out meaning in the other, so that even if I didn’t understand either one completely by the end of our lecture, I was still much better off than I was before. King Lear, 1874. Folger Shakespeare Library. 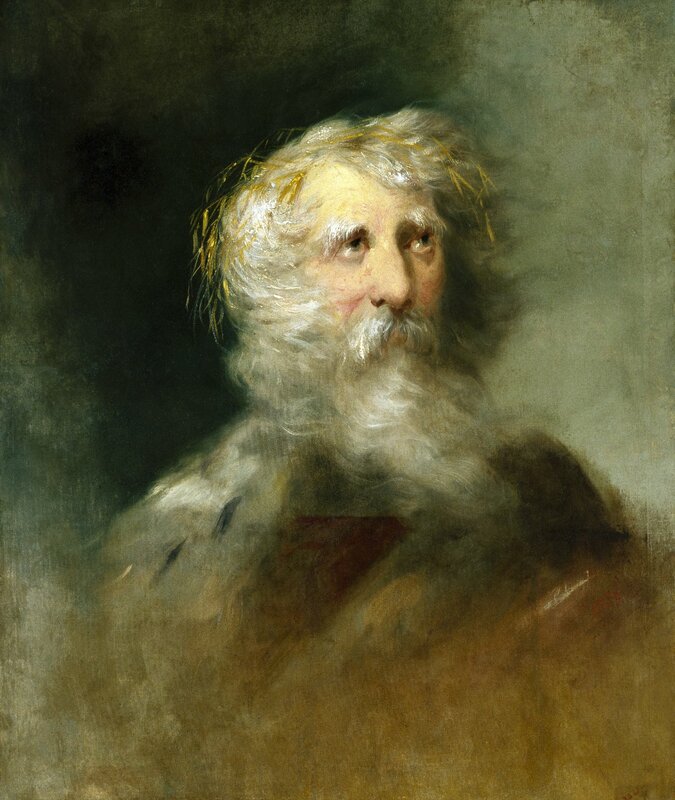 King Lear, in its embodiment of the horrors of human existence, is the black hole at the center of the Shakespearean tragic universe, drawing in any sense of light and hope and keeping it from escaping. The big questions at the center of this play challenge us as human beings to confront a difficult truth: namely, that love is the source of Lear’s evil. None of the deeper thinking that this post hopefully represents would have been possible without the resources the Folger Shakespeare Library offers. I arrived at the library on a Thursday morning and did some research in the library. That night, I attended the engaging performance of King Lear put on by the Globe Theatre. The next day, I was part of a teaching workshop on the play. As you read the rest of this, consider that in a two-day period, I watched the play, researched the play, and learned about the play in a single place. In our most recent blog post, we featured a unit plan from our Shakespeare in American Life website about patriarchy in King Lear (onstage right now at Folger Theatre) and William Faulkner’s As I Lay Dying. Today, we return to Shakespeare in American Life for a look at some fascinating comments about King Lear by Janet Reno, who served as the U.S. Attorney General from 1993 to 2001. 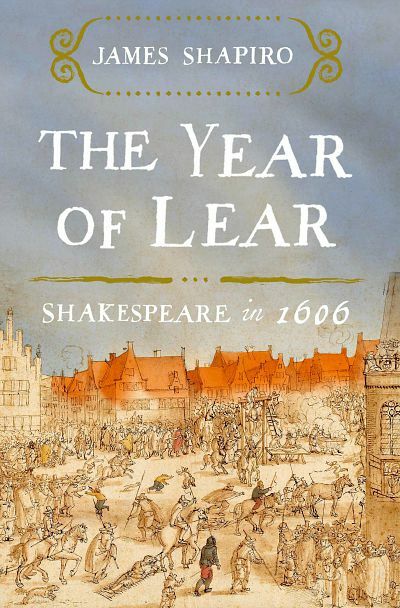 Reno recalls how she organized a group reading of King Lear at the Department of Justice, and she offers insight about Shakespeare’s understanding of the human condition. I don’t know of anybody that has so combined the power to express his thoughts as magnificently as Shakespeare, about human nature and all the challenges and the pitfalls that we face. I think he is for us all, I think he is for us all throughout the ages. I think every person can find something within the lines that Shakespeare wrote that applies to him. These audio clips can serve as a jumping off point for a class discussion about how Shakespeare’s words affect us today, even at the higher levels of government.